A woman died at Burning Man on Thursday after falling under a bus transporting event participants. Burning Man organizers are working with law enforcement investigators from the Pershing County Sheriff's Office and will provide more information as it becomes available. The Pershing County Sheriff will release information after the conclusion of family notification and investigation. "This is a terrible accident," said Burning Man co-founder Marian Goodell. "Our thoughts and prayers are with her family, friends and campmates. Black Rock Rangers and Emergency Services Department staff are providing support to those affected." Participants' cars are banned from Black Rock City for safety reasons. The event has its own transit system and a 5-mph speed limit is strictly enforced. 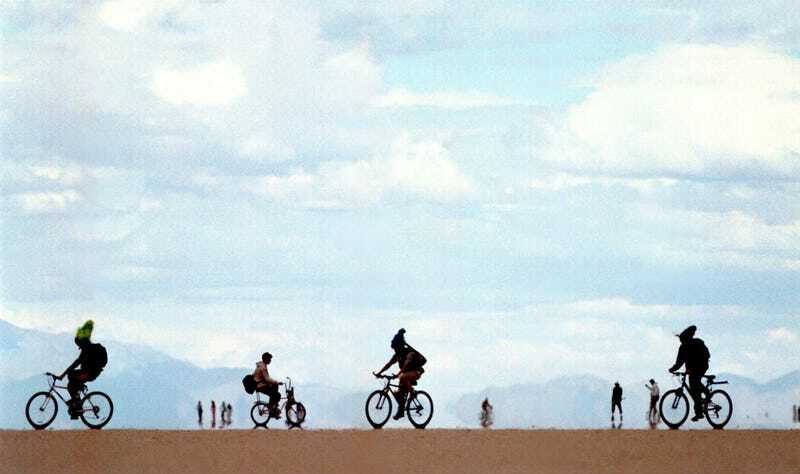 Black Rock City residents are encouraged to bring mountain bikes and walk to as many of the venues as possible in the metropolis that has expanded through the years to more than 5 square miles. Cipicchio worked at an art gallery in Jackson, Wyoming, near Yellowstone National park. She studied art at the University of North Carolina, Greensboro, and graduated in 2008. A co-worker at the gallery she was employed at called her an "amazing girl, full of life, loved by everybody."